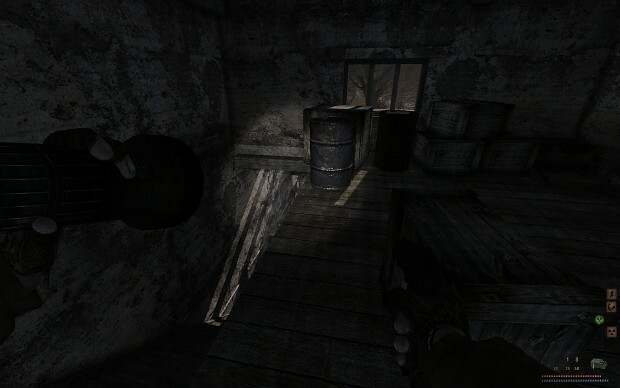 Call of Misery started as an unofficial port of Misery 2 to Call of Chernobyl but has since gone on to add its own features and changes. There are now many addons for CoM itself, most of which are released in Russian. This mod has CoM and some of the popular addons for CoM along with some of the translations for them. Credit will be given in each mod and addon to the creators and translators. This hud has been archived by the uploader because it is out of date and no longer supported. We recommend you browse the file list for the latest hud. Credits: CrommCruac and Vandrerer for AA2; Loner1 for porting it to CoC. Note that this hud will restore some of the indicators that CoM removed, like the radiation indicator. Likewise for bleeding where it restores the bleed icon. Please do not use this hud if you want to retain those immersion features. This is a HUD mod for Call Of Chernobyl, CoM, Last Day and other CoC/CoM derivative mods that is derived from the superb AA2 HUD. It will work with most Call of Chernobyl derivatives, including Call of Misery and its derivatives like Last Day. It should also work with Call of Pripyat and its mods, but has not been tested there. Installation is simple, drag and drop gamedata into your install. The Options folder allows some HUD elements to be selectively made visible or invisible - the minimap and the ammo counters. This is great! Can you include a version with the minimap enabled as an optional file? Version 1.5 now has options to enable disable the minimap and ammo counters. It moves the fire mode indicator to a central position between the ammo counters and the ammo icon. Moddb.com has all of this and more included, please download that instead. CoM AA2 HUD 1.5 has not been tagged yet.